Well actually, that’s exactly what 4/6 of our whānau look like. My partner and I both brought two beautiful children each into our relationship, so, together, we have four children in what we call our ‘whānau kōpere’ or ‘rainbow family’ though most would refer to it as a ‘blended family’. We trick ourselves into thinking that a rainbow whānau will be more beautiful and colourful than any other and mostly it is. They are so completely different, which makes life colourful! I would say, the one thing that we all share is our passion and hunger for all facets of language — you know, the good, the bad, the ugly, and the incomprehensible also! 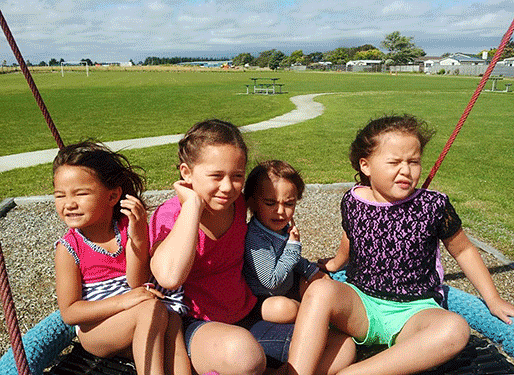 From our children we learn that words like ‘anu’, a Māori term for ‘cold’, has been coined from the full word ‘anuanu’ to mean ‘ugly’. And, when we ask them to pick their bags up, or piles of clean clothes, and take them to their rooms, that ‘Mē?’ is, to them, an acceptable response. Forget that translated, it means,‘Must’, and they are missing the ‘I’ to form the complete defiance, ‘Must I?’ According to them, we should ‘get the gist’. 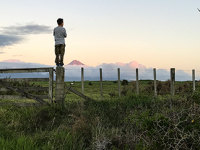 Recently, Aotearoa celebrated ‘Te Wiki o te Reo Māori’, Māori Language Week, and I was quite encouraged and excited by the effort made in public sectors and media alike, along with personal efforts made by friends and whānau. 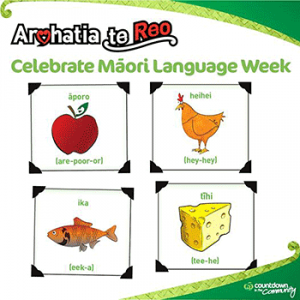 We are a Māori-speaking household; we have chosen to speak only Māori to our children, so when our second daughter was asked what she would be doing to celebrate Māori Language Week, I wasn’t surprised by her response, “He māori noa te kōrero Māori nē Māmā? 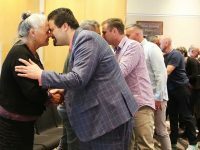 Ka puta rānei ki tētahi wharekai whakanuia ai?” Meaning, “Isn’t speaking Māori the norm Mum? Should we go out and eat to celebrate?” Now there are two things that are very distinctly ‘our daughter’ about this. 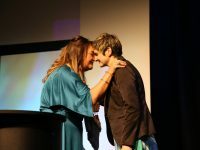 Number one is her belief that Māori is the norm, and English is her ‘other’ language, and number two, her love for food! The kids view Māori Language Week as a time when there are lots of stickers sent to kura that are in Māori that they can stick anywhere, and when the supermarkets add Māori labels to their shelves. Simple, yet effective nonetheless, because they definitely notice the difference. I must acknowledge Radio New Zealand, who for years now has had their news presenters lead the news in te reo Māori all year round, and they are doing a sterling job keeping te reo Māori out there. Countdown supermarkets are on board, too, and it’s really awesome to hear our emergent reader children in these spaces having success when reading the labels. So, while Aotearoa has done a beautiful job dedicating the past week to te reo Māori in many diverse ways, I’m always left a bit deflated when things go back to our ‘norm’. We, as second language learners know, that there are no more news reports in te reo, no more greetings and farewells by airline staff in te reo, no daring posts in social media circles challenging people to Give it a go! The hype dissipates, and it’s left to the steadfast few to maintain. We are so proud of the efforts made by our children in keeping our language alive. And even more so because it’s not that they think that it’s disappearing, or that they feel obligated to do so — it’s because it’s their norm. We are even more impressed with their efforts in learning their second language, English, and the value that they give it. They are always experimenting and wanting to get it right without being instructed to. I think this means that they have a high regard for the English language, and this shows in their need to get it right. I would love for this to be the way that we all think about te reo Māori. I would love to hear people making an effort until they get it right, and it becomes their norm. I’m not talking about making te reo Māori compulsory in schools or workplaces, I’m just talking about something as simple as a person seeing a Māori word, making an effort to learn how to say it and what it means, and making that your ‘normal practice’. It’s simple in our children’s minds, He māori noa! Wawaro Te Whaiti is a Måori Medium Facilitator for CORE Education, in the Manawatu-Whanganui regions. Wawaro's focus over the last ten or so years has been on the Māori language and it’s suvival, Māori medium, developing of pedgagies and resources to support children’s learning. Ko ahau te poutakawaenga ā-ipurangi mō ngā hōtaka reo Māori. He poutakawaenga ā-kanohi hoki. Kei Manawatū e noho ana. Tēnā koe e te toka tū. Nāu i mau tonu ki te reo rangatira ahakoa te karekare o te moana. Ka nui tāku miharo mōu me tōu whānau e hoa ā ka whakaohooho ōu kupu i āku hiahia ki te ako tonu, ki te körero tonu i ā tatou Reo rangatira. Ko te tumanako, kei te tiki tēnei Reo! Nā reira, he mihi aroha ki a koe.